Edward "Ted" Allen was born today, May 20, in 1965. He is an American author and television personality. He was on the Bravo network's original version of the television program Queer Eye for the Straight Guy, and has been the host of the TV cooking competition series Chopped since its launch in 2009, as well as other programs on the Food Network. He is a longtime contributing writer to Esquire magazine, and the author of two cookbooks. Allen graduated from Carmel High School in Carmel, Indiana, in 1983, and was inducted into the school's Alumni Hall of Fame in 2011. He received a degree in psychology from Purdue University in 1987. Subsequently, he enrolled in Purdue’s Krannert Graduate School of Management, but left to accept a job as a copy editor at the Lafayette, Indiana, Journal & Courier. He later returned to graduate school, gaining an M.A. in journalism from the Science and Environmental Reporting Program at New York University. He then moved to Chicago, where he worked as a reporter for Lerner Newspapers, a chain of community weekly newspapers. He got his start in restaurant criticism there as one quarter of a bi-weekly group-review team called "The Famished Four," along with Barry Rice (at right with Allen), then the chain's entertainment editor (and today Allen's husband), who initiated the concept with Lerner food editor Leah A. Zeldes. Allen then became a freelancer for Chicago magazine, eventually signing on as a senior editor, and often writing about food, wine and luminaries of the culinary world. He joined Esquire in 1997 as a contributing editor, where he wrote features, food pieces, and profiles, and co-authored the magazine's popular "Things a Man Should Know" series. He also has written for GQ, Bon Appetit, Food & Wine, and Epicurious. 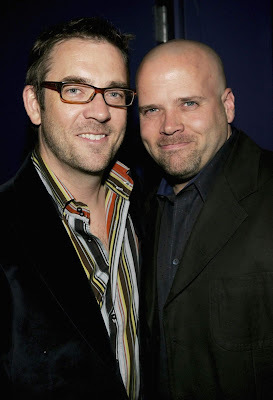 Allen gained great visibility in 2003 when he became a cast member of the television makeover series Queer Eye for the Straight Guy. Allen was the show’s food and wine specialist. He continued to make television appearances as a gourmet, including as a frequent guest judge on Food Network's Iron Chef America. Beginning in 2007, Allen appeared as a regular judge on seasons 3 and 4 of Bravo's reality television program Top Chef, following several guest judge appearances during the previous two seasons. In 2008, he left Bravo when Food Network offered him the host job on two shows: Food Detectives, which debuted on July 29, 2008, and Chopped, which launched a 13-episode season on January 13, 2009. Detectives returned for a second season of 13 episodes, also in January 2009. Chopped was renewed for 26 episodes and went back into production in March 2009 in New York. The show took off with viewers and was renewed for another 33 episodes, which shot in January and February 2010. Now one of the highest-rated prime time shows on the network, as of September, 2016, Chopped has shot 450 episodes, and Chopped Junior has shot 52. He has written and co-authored numerous books, including The Food You Want To Eat: 100 Smart, Simple Recipes and In My Kitchen: 100 Recipes and Discoveries for Passionate Cooks. 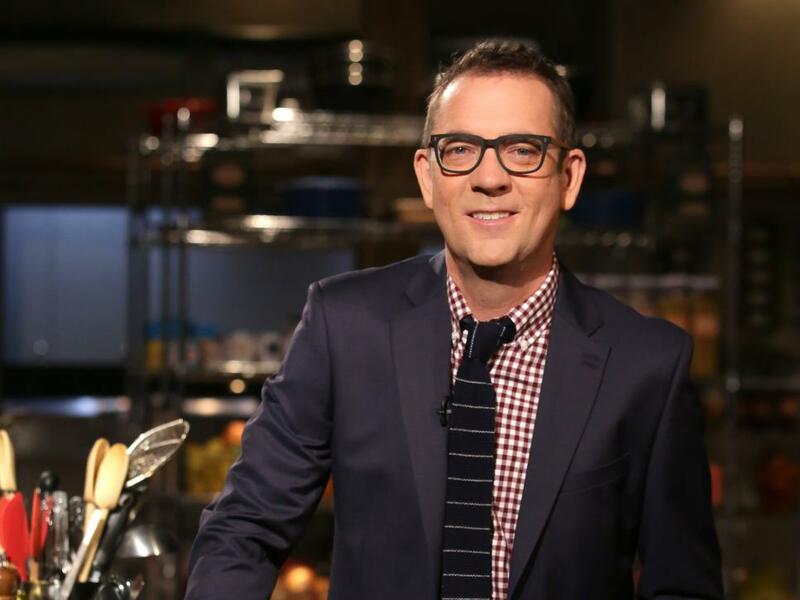 In May 2012, Allen received a James Beard Foundation Award for his work as the host of Chopped, and the show itself also won for best in-studio television program. In 2004, he won an Emmy Award along with the other cast members and producers of Queer Eye for "Outstanding Reality Program." The show was also nominated again for that category in 2005. In 2011, he received a Visibility Award from the Human Rights Campaign in San Francisco. He also holds two awards from the Gay and Lesbian Alliance Against Defamation for Queer Eye, presented in 2004 and 2005.